Anti-piracy group BREIN has prevailed in a legal clash against an unlicensed provider of thousands of live IPTV streams and movies. 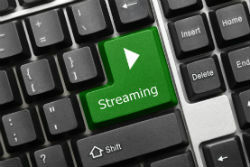 A court found that Leaper Beheer BV, which operated under names including Flickstore and Live TV Store, committed copyright infringement by offering a link to a .M3U playlist. It was ordered to shut down immediately or face penalties of up to 1.25 million euros.